Born and raised in Chicago, Illinois, Dr. Doshi earned her dental degree from Southern Illinois University School of Dental Medicine in 2011. Prior to that, she graduated with a Bachelors degree from the University of Illinois at Urbana-Champaign. Dr. Doshi continued her training by completing a one year advanced residency program at The Brooklyn Hospital Center in New York. In Brooklyn, Dr. Doshi furthered her dental education on endodontics, oral surgery, implants, cosmetic dentistry, and pediatric dentistry. 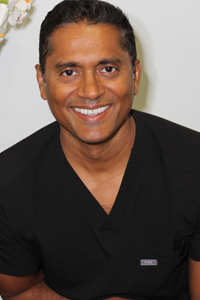 Dr. Doshi has been practicing in the DMV area for the last five years. Dr. Doshi believes in the importance of quality, patient-centered, dental care and providing it in a compassionate manner. She has made it her mission to make the experience comfortable and pleasant for her patients. 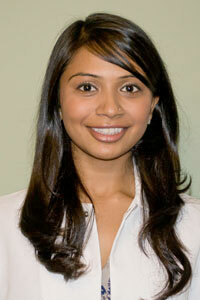 Dr. Doshi is skilled in all aspects of general dentistry, in addition to being a certified Invisalign provider. She is always expanding her knowledge to keep up with the latest in dental materials, techniques, and technology to aid her in providing excellent treatment. Dr. Doshi lives in Maryland with her husband and two young children. When away from the office, Dr. Doshi enjoys a wide variety of interests including culinary arts, traveling, playing tennis, and binge-worthy television! • Dr. Sethi completed her bachelor's degree in microbiology from the University of Maryland at College Park. • She then attended and received her Doctor of Dental Surgery degree from the University of Maryland at Baltimore Dental School, where she received several accolades for her technical and academic achievements, including selection to participate in a cleft lip/palate outreach program with Operation Smile in Vietnam and the Dominican Republic. • Dr. Sethi completed a one-year General Practice Residency at the Miami VA Hospital. • She also completed a three-year periodontal residency at the University of Pennsylvania, where she was trained in all aspects of periodontal surgery, including dental implants and oral cosmetic surgery. • Shalini Sethi, D.D.S., a Board Certified Periodontist, has been recognized as one of the "Top Dentists 2013 and 2017" for Periodontists in Baltimore Magazine. • Dr. Sethi is a dynamic, skilled clinician who shares our philosophy of providing the very best personalized periodontal care to her patients in a relaxed, professional atmosphere. 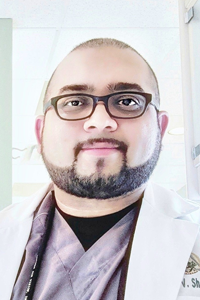 Dr. Advait Shah graduated from Temple University School of Dentistry in 2004. Prior to that, he studied at the State University of New York at Stony Brook and earned a Bachelors of Science degree in Psychology. 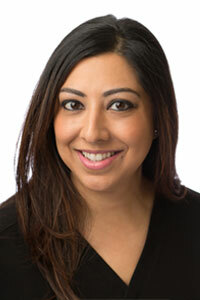 For the past 14 years, Dr. Shah has worked in private practice in Pennsylvania, New York and now Maryland. Dr. Shah's goal is to give his patients (both adults and children) a healthy and beautiful smile while ensuring their comfort during the process. He is a skillful and meticulous dentist, who takes pride in providing his patients with high-quality dental work. Dr. Shah's strength lies in the detail he applies to his work while going the extra mile to make sure that his patients are happy. Dr. Shah strongly believes that we never stop learning. Therefore, he takes great interest in keeping up with the latest trends & materials in dentistry and attending continuing education courses to assure that his patients are receiving the best care possible using quality materials.